After all the fun and frivolity of yesterday with the Elephants (although we did do some chores in the afternoon)…..today was a designated “Chore” day! So after breakfast Vince and I took a long walk to try to find the “Local Market” where we would search for a tailor to try to mend my adventure riding jacket zip. 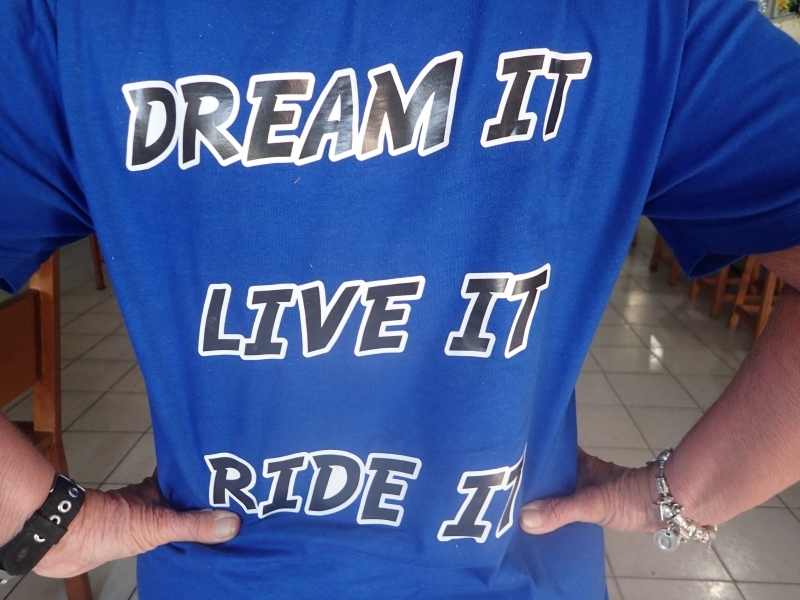 I was a bit reluctant to walk, as every muscle in my body ached and I felt like I had been hit by a Mack Truck – from riding Magnum yesterday, but we were assured by the hotel reception it was only 5 minutes away…. after a half hour or so, and checking with several locals along the way that we were headed in the right direction, we eventually did arrive at the Market. The only problem was I had suddenly developed an immediate and urgent problem….terrible cramps doubling me over and an obvious need to find the nearest tuk tuk and get back to the hotel toilet….that said I was torn because I really wanted to find a tailor and get my zip fixed….but it was no good….if I didn’t want an embarrassing situation I needed to get back to the hotel pronto! So close and yet so far! 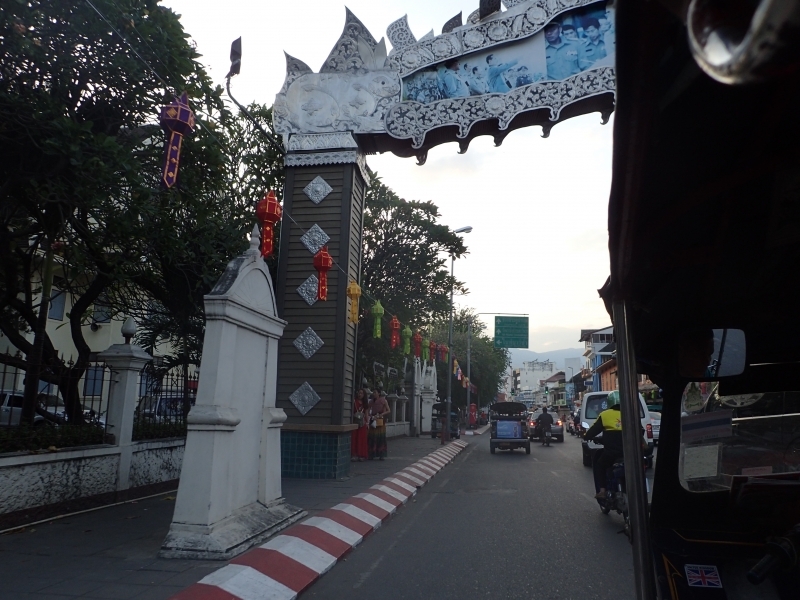 Vince commandeered the nearest tuk tuk and we were on our way….I raced up the two flights of stairs, ignoring the pain and distregarding my aching muscles, and just made it in time. I was going nowhere for sometime! We had spent the evening of the 17th clearing out and cleaning our panniers and soft bags to send some gear home…..10.7kg in total! 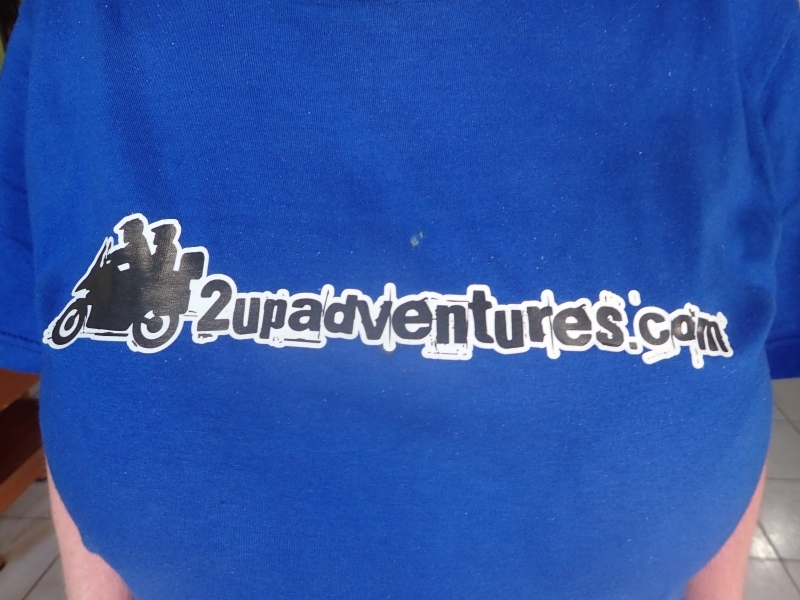 So the plan was to go to DHL and sent it home to Vince’s brother Ken (he is our official 2upadventures home support crew and we couldn’t do without him – long live Ken our guardian angel). As I was feeling less than special…Vince would have to make this journey on his own….but young Mike came to the rescue and said he would go and help carry stuff….Aad (Art), who was also under the weather with tummy issues, stayed with me at the hotel for company….and in case either of us died or needed an ambulance! (of course this is an exaggeration but we did feel like we were dying!). 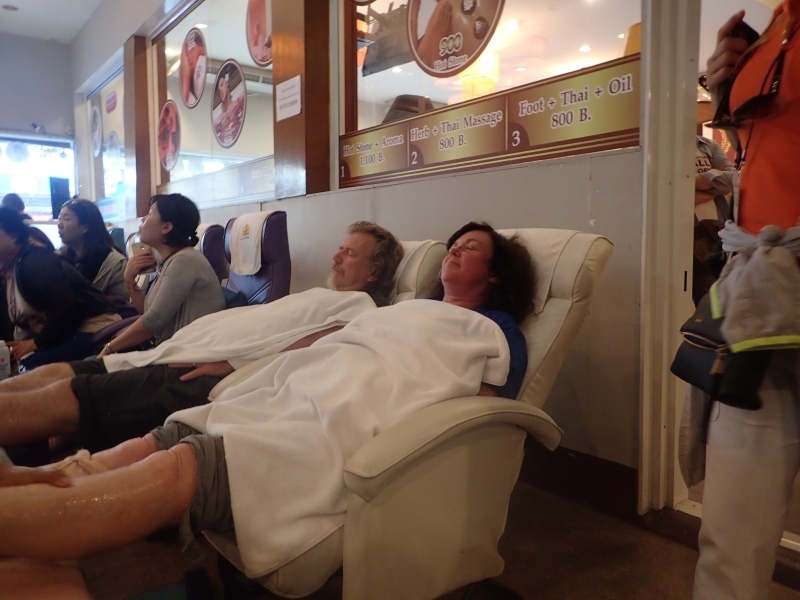 It cost us about 5000 THB (around A$200)….not cheap! Vince also wanted to get some maps so they boys had stopped off at a few bookshops along the way. By mid afternoon I was feeling better….still not fantastic….but at least I didn’t have to live on the toilet. 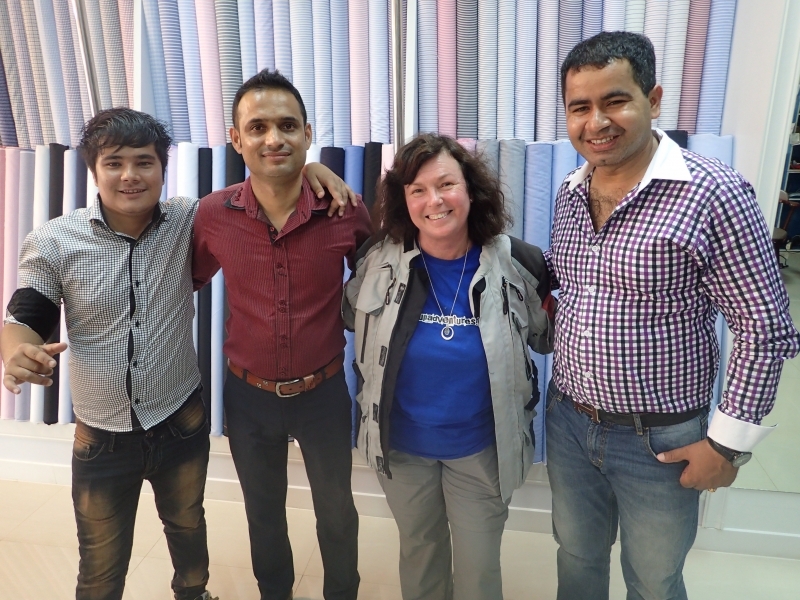 So Vince and I thought we would give my jacket another shot…..I decided a new strategy was to research a tailor, get an address and jump in a tuk tuk…I was not willing to walk this time…..just in case! 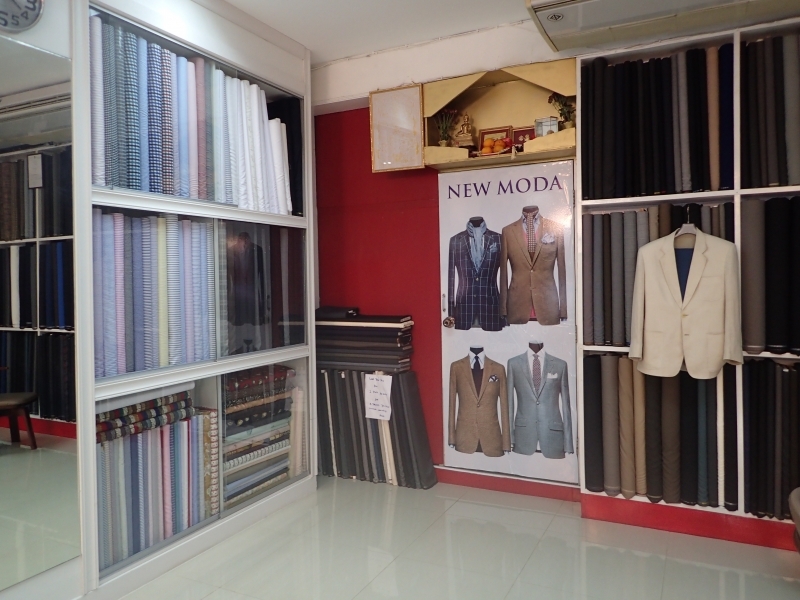 Vince agreed and before we knew it we were on our way to His and Her Tailors, 150 Changklan Road, Chiang Mai 50100. 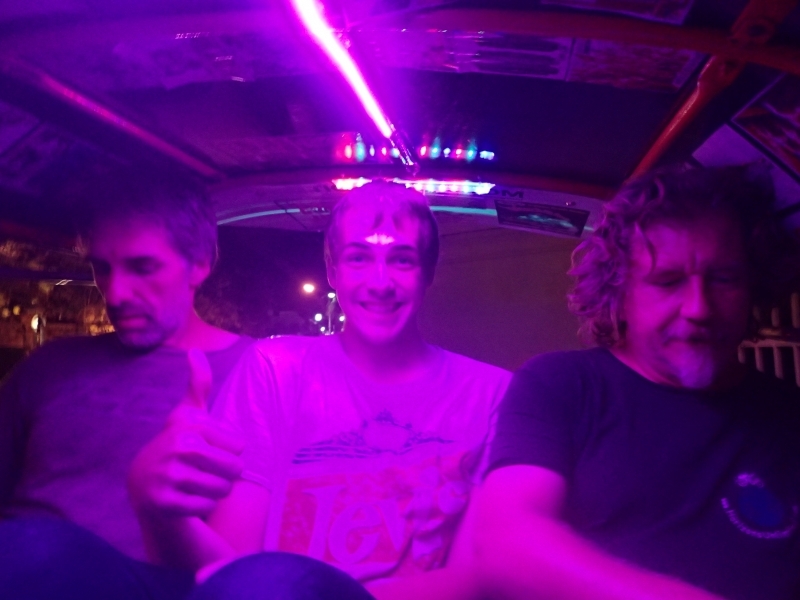 Most tuk tuk rides are about 100THB and this was no different. 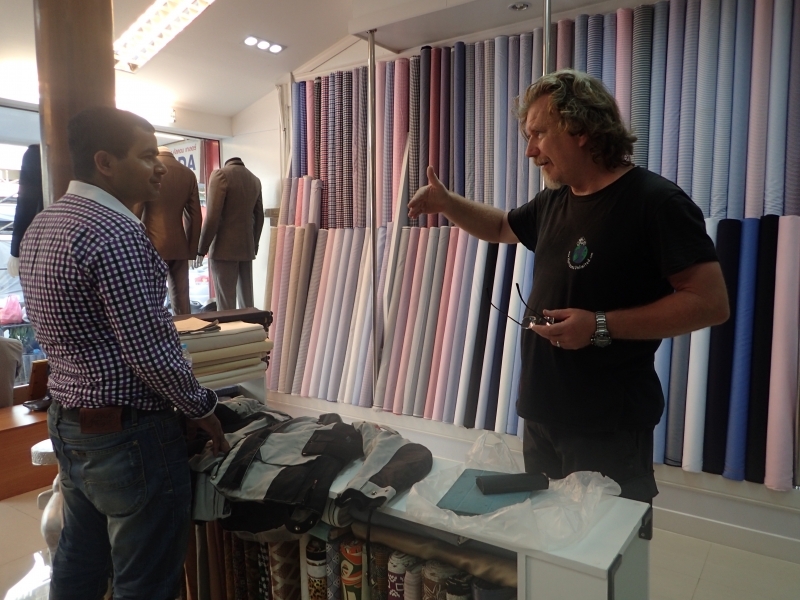 At this very upmarket custom tailor they were sad to tell me that they did not do alterations or mending but redirected me a few doors down to New Moda International Fashion, 150/1 Changklan Rd……another custom tailors and also upmarket. The gentlemen there (owner John Moda and his assistant) were most helpful in my request for a very strong zip to be fitted, and sent for someone else (Lucky) to see if it could be done….when the Lucky arrived and saw my jacket his first words were “Oh my God!” ….not bad for a buddhist! He immediately looked at Vince and asked if he rode motocross….when Vince laughed and said “It’s not my jacket, it’s hers” pointing at me, I thought the guy was going to faint! We explained about our trip and where our travels had taken us…..and we discovered that both John and the Lucky were both from Myanmar, we talked about how much we enjoyed Inle Lake and Bagan. 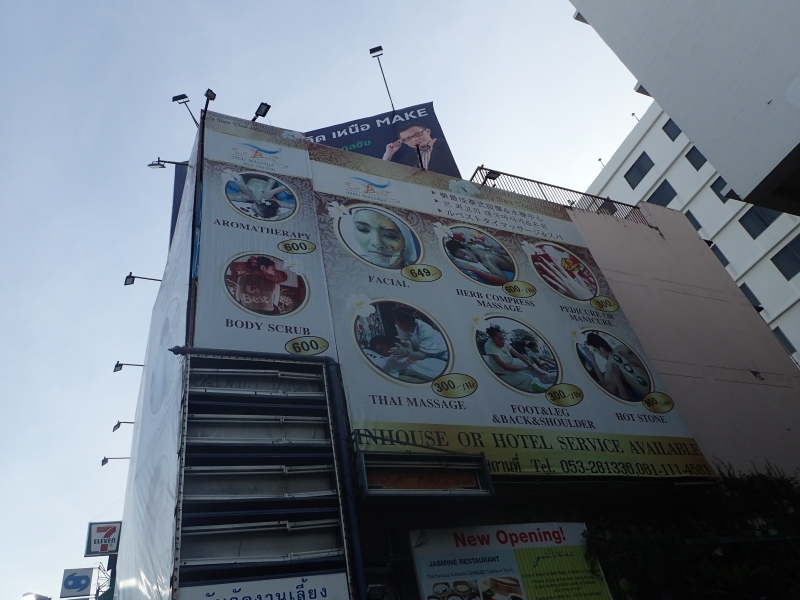 The Lucky had regained his composure and assured us he would like to help us in this very unusual request for a metal zipper, but that it would be expensive….1000 THB ($40)…to which we said fine go ahead and Vince paid in advance. Before we left they wanted photos with me in my jacket….so we obliged. 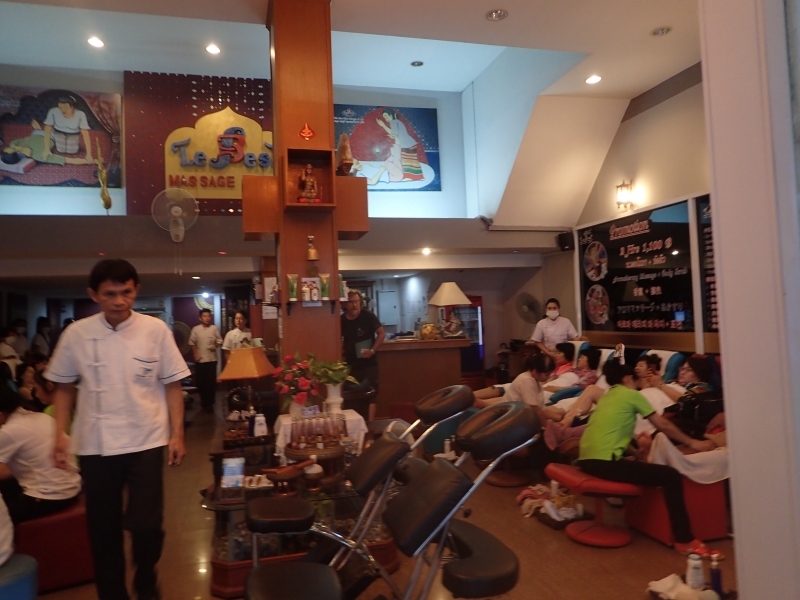 After leaving the tailors we decided to get an ice-cream (as it’s very hot here during the day) but along the way we came across a row of massage places….and as both our bodies were feeling the effects of our elephant adventures yesterday, Vince suggested we both get massages. 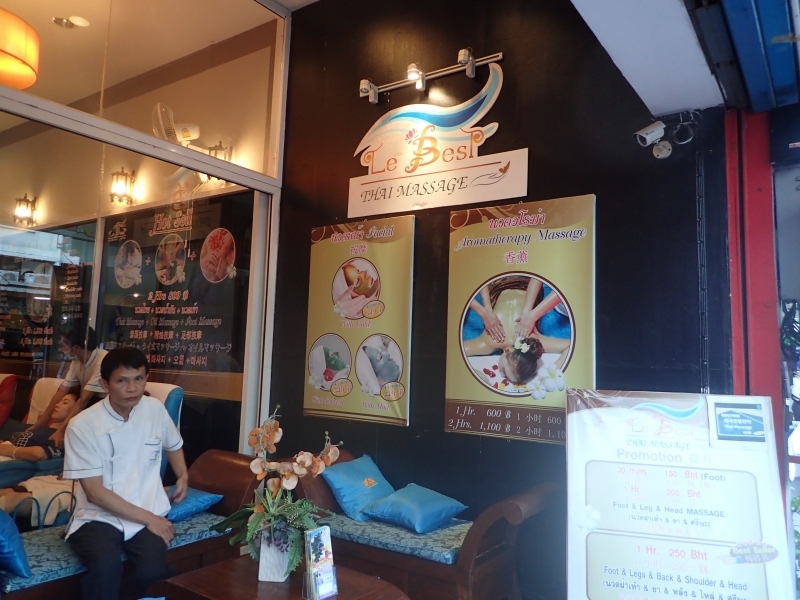 They were advertising a special – Foot, Head, Neck, Shoulder and Back massage for 1 hour for just 250 THB ….so in we went ….and a hour later we floated out the door feeling much better. 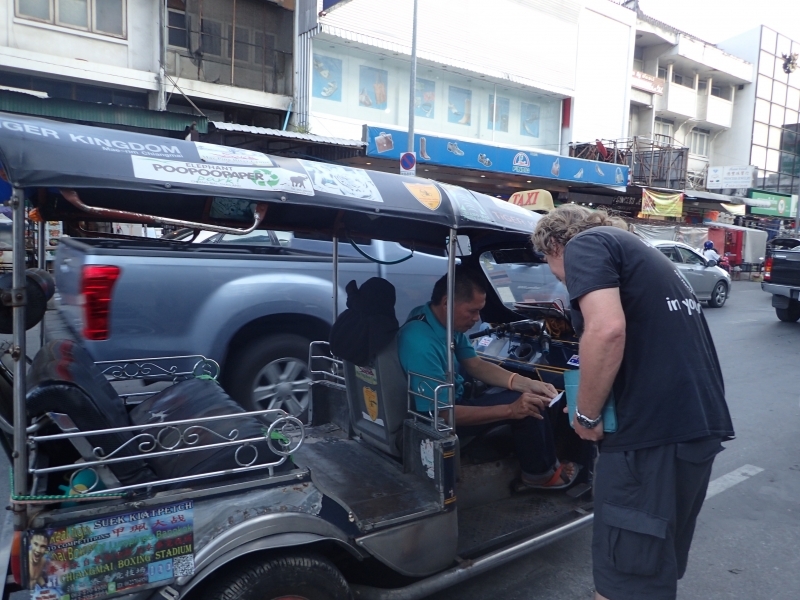 We decided to forego our icecream and head back to the hotel, via tuk tuk, to catch up with our friends. Back at the hotel poor Aad (Art) was still feeling unwell, but hungry. 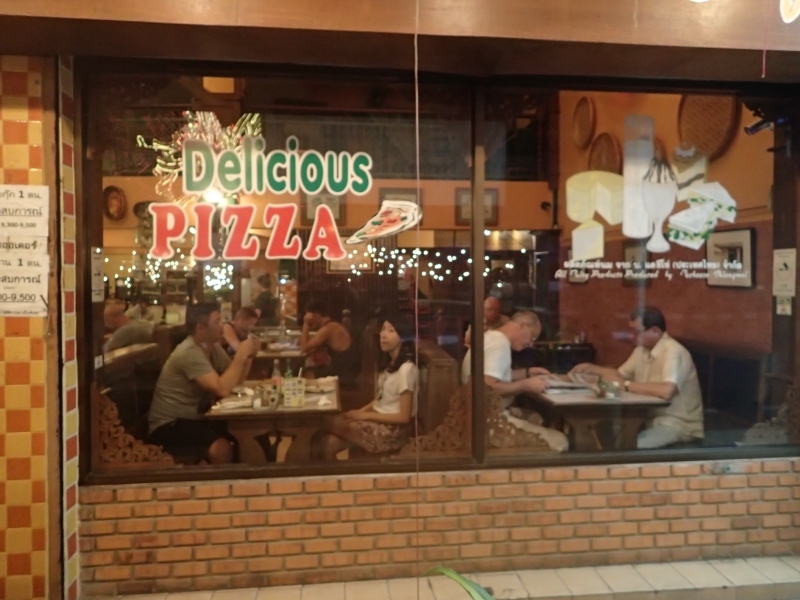 Vince and Mike had spotted a little Italian place on their DHL escapade…..yes I know, I know…..why would you have Italian in Thailand….but sometimes you just need a change! So off in yet another tuk tuk and we were soon having a lovely dinner. 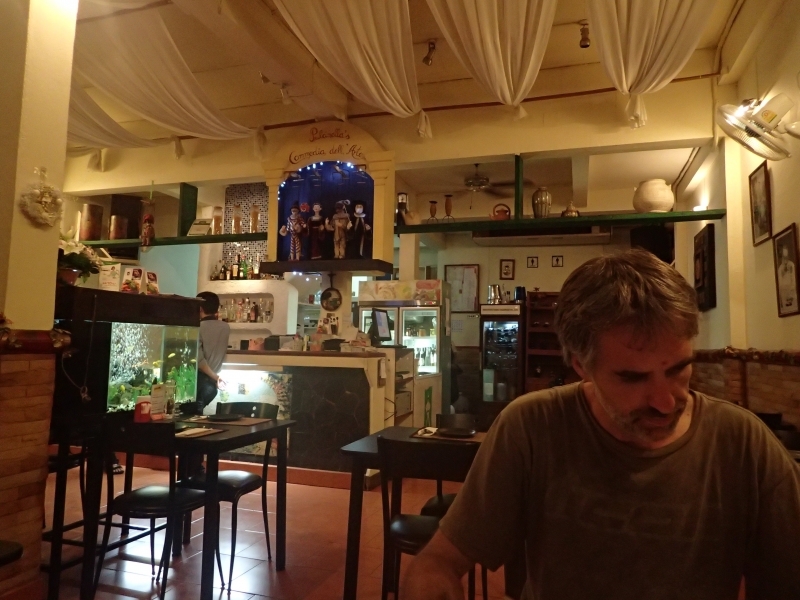 Vince and I both had lasagne, he had a beer and I had a cocktail called “I love You”….it was a tenth of the price of a glass of wine (1400 THB) at just 140 THB. The tuk tuk ride on the way home was nothing short of spectacular…..now you need to know that when 4 of us fit into a tuk tuk (called Taxi’s here) there is generally the three boys in the back and me perched precariously on a tiny little seat next to the driver ( I’m the only one of us who can fit there)….this guy had been grazing on good pasture and was rather rotundas…so it meant that I was practically hanging half out of the vehicle. Couple that with the speed of Stirling Moss and the bravado of James Bond and you have all the makings of a great car chase…..as we dodged and weaved in front of mainstream traffic, through narrow back alleys and side streets, and to my total disbelief, across a tiny wooden foot bridge over a river….when he saw the look of astonishment on my face he just laughed and revved the engine more! The situation was not really helped by Vince’s boisterous, encouraging onward calls from the back…..this is how we die! 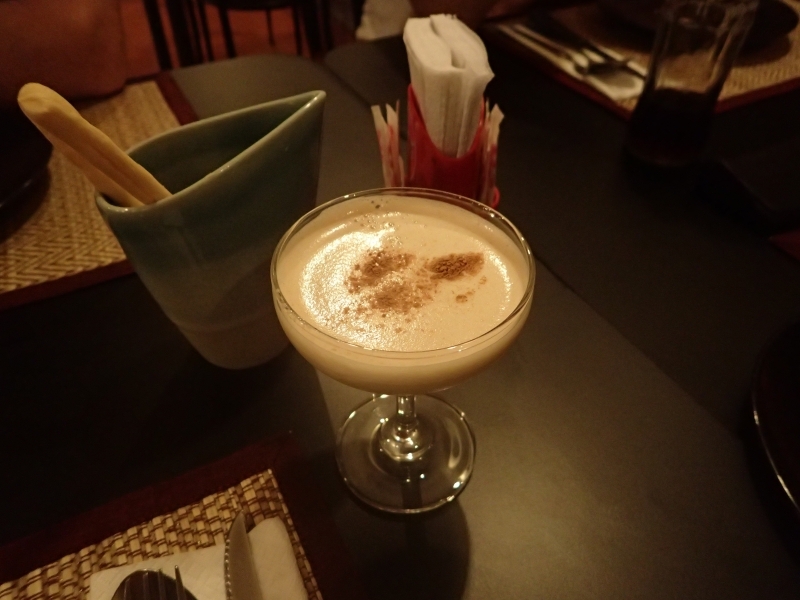 But again my fears were unfounded as we arrived safe and sound….if not a little “shaken but not stirred”…..at the Panda House Hotel. Oh and the stories .